Shirley CR0 Hard Floor Maintenance Commercial & Residential | Quality Property Care Ltd.
Don`t hesitate to get rid of the bacteria and the dull spots, watermarks and micro scratches from your floor with the assistance of our expert hard floor cleaning experts. Call us on 020 3746 4287 to get further information about our services or to make a reservation. We are available for you non-stop and 365 days per year - including in weekends and national holidays! 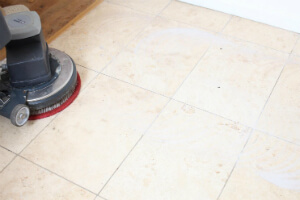 It’s often that stone and slate floors require a good, deep clean as it is hard to remove dirt particles from an abrasive surface with a lot of little nicks and uneven spots. A regular mop cannot eliminate these residue deposits and sometimes a more thorough treatment is necessary. We use low pressure, high temperature capturing techniques that allow us to emulsify the area and extract all of the filthy residue on the floor. Sometimes than not the reason such floors get so dirty and are hard to clean are these uneven spots. A good way to reduce this is to coat this floor type in a protective coating which will not only protect it from damage but also prevent from dirt and grime building up. When the standard floor cleaning solutions are not enough to recover your floor from damages, dullness or slipping effect, we will continue with new approaches to make it look like a new again. The ideal solution for us, when it comes to domestic & commercial hard floor maintenance that combines natural approaches and extra powerful machinery. We have all of these, so you are not even supposed to provide our Shirley CR0 Quality Property Care Ltd. floor polishing experts anything. 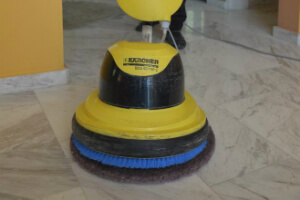 The reason why our floor polishing company in Shirley CR0 has always success in reducing the dullness of floors and making them clean and shiny again is hidden in our precise work. Unlike the indoor floor cleaning services, which usually involve a spray, scrub, vacuum, dry and rinse treatment, the professional driveway cleaning and patio cleaning offered by the company involves pressure washing. The Quality Property Care Ltd. cleaners are equipped with powerful jet washing equipment which they will use to safely provide you with professional exterior cleaning of your drives, paths and decks. Any dirt, residue, mold will be washed off of your outdoor space and it will look clean and perfect for spending more time there. So, if you want your outdoor space to be perfectly clean, and your indoor floors to be rejuvenated, protected and shiny once again, book the professional hard floor cleaning services from Quality Property Care Ltd. of the company right away. We have a special approach into natural floor restorations. We always approach each individual floor individually, so before the floor polishing treatment, we always examine the surface at first. Once we spot the damages and the issues, we continue removing them with high-quality green products and methods with zero risk. Thus, the floor remains intact and 100% refinished to make you happy again every time you look at it! Want to get that all? You will get at a bargain price and for all of these natural floor types: soiled tile, concrete marble, granite, terrazzo, limestone, tile, york stone, sand stone, travertine, terracotta, slate, victorian geometric quarry tiles floors. Get an ideal floor cleaning for Shirley CR0 vinyl, linoleum, laminate floors, amtico and karndean floors. A written confirmation will arrive almost immediately via sms message and e-mail. No deposit is required for booking the professional cleaning services. If you want to book a professional hard floor cleaning service, or a combination of different cleaning and treatment services, just call 020 3746 4287 right away or send the online booking form which will be received immediately by the customer care service. You pay a fixed fee after the cleaning and other requested treatment is done. After the service, your floors will be rejuvenated, clean, shiny and protected.